Although in the written English language there is no standard way to denote irony or sarcasm, several forms of punctuation have been proposed. Among the oldest and frequently attested are the so-called percontation point invented by English printer Henry Denham in the 1580s, and the irony mark, furthered by French poet Alcanter de Brahm in the 19th century. Both of these marks were represented visually by a backwards question mark. The character can also be represented on Windows by using the Alt code 1567. These punctuation marks are primarily used to indicate that a sentence should be understood at a second level. A bracketed exclamation point and/or question mark as well as scare quotes are also sometimes used to express irony or sarcasm. The manakins are a family, Pipridae, of unique small suboscine passerine birds. The family contains some 60 species. They are distributed through the American tropics. The name is from Middle Dutch mannekijn meaning ‘little man’. The genus Tyranneutes comprise the smallest manakins, the genus Antilophia are believed to be the largest. They are compact stubby birds with short tails, broad and rounded wings, and big heads. The bill is short and has a wide gap. Females and first-year males have dull green plumage; most species are sexually dichromatic in their plumage, the males being mostly black with striking colours in patches, and in some species having long, decorative tail or crown feathers or erectile throat feathers. In some species, males from two to four years old have a distinctive subadult plumage. The syrinx or so-called voicebox is distinctive in manakins, setting them apart from the related families Cotingidae and Tyrannidae. Furthermore, it is so acutely variable within the group that genera and even species can be identified by the syrinx alone, unlike birds of most oscine families. The sounds made are whistles, trills, and buzzes. 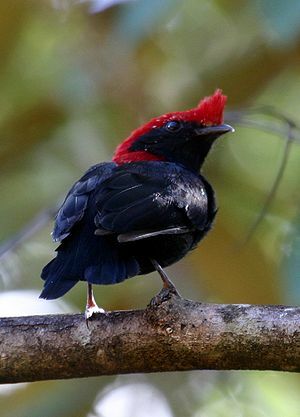 The Manakin bird is famous for its so-called tap-dance ‘moonwalk’ along branches of trees. The male tries to attract a female by moving at quite a pace along twigs and branches while keeping an eye on a potential mate. This dance as it were involves incredibly fast movements and composure of the claws as it moves from left to right and visa versa. Terms are, however, neither exclusively translatable nor exclusively untranslatable; rather, the degree of difficulty of translation depends on their nature, as well as on the translator’s knowledge of the languages in question. Quite often, a text or utterance that is considered to be untranslatable is actually a so-called lacuna, or lexical gap. That is, there is no one-to-one equivalence between the word, expression or turn of phrase in the source language and another word, expression or turn of phrase in the target language. A translator can, however, resort to a number of translation procedures to compensate for this. A look shared by two people, each wishing that the other will offer something that they both desire but are unwilling to do. The word mamihlapinatapai comes from the southern part of Argentina and Chile, where Fuegian is spoken (from Tierra del Fuego, literally meaning: Land of Fire) and is recorded in the Guinness Book of World Records as the most succinct word (succinct: briefly and clearly expressed), meaning that it is the hardest word to translate into any language without using multiple words. The word contains the root -ihlapi, meaning to be at a loss as what to do next. The rest of the affixes used in the word state reflexiveness and a reciprocal sense, making the word relevant in a situation with two people. A rhetorical device from the Ancient Greek eirōneía meaning dissimulation or feigned ignorance. It is a technique or situation in which there is a sharp incongruity or discordance that goes beyond the simple and evident intention of words or actions. Socratic irony; pretending to be dumber than you actually are. When a person asks questions, pretending not to understand, to lure the interlocutor into a logical trap. Comic irony; “Gentlemen don’t fight, this is the war-room!” Irony that can be called humorous by general standards. Tragic irony; A type of dramatic irony. In tragic irony, a character’s actions lead to consequences that are both tragic, and contrary to the character’s desire and intentions. Situational irony; For instance: a vegetarian pacifist murdered in an abattoir. Historical irony; A kind of situational irony that takes a long period of years for the irony to become evident. Verbal and situational irony are often used for emphasis in the assertion of a truth. The ironic form of simile, used in sarcasm, and some forms of litotes emphasize one’s meaning by the deliberate use of language which states the opposite of the truth — or drastically and obviously understates a factual connection. In dramatic irony, the author causes a character to speak or act erroneously, out of ignorance of some portion of the truth of which the audience is aware. In other words, the audience knows the character is making a mistake, even as the character is making it. 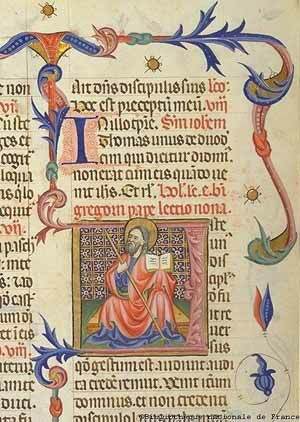 This technique highlights the importance of truth by portraying a person who is strikingly unaware of it. In certain kinds of situational or historical irony, a factual truth is highlighted by some person’s complete ignorance of it or his belief in the opposite of it. However, this state of affairs does not occur by human design. In some religious contexts, such situations have been seen as the deliberate work of Divine Providence to emphasize truths and to taunt humans for not being aware of them when they could easily have been enlightened. Such ironies are often more evident, or more striking, when viewed retrospectively in the light of later developments which make the truth of past situations obvious to all.